Bluestone - Monthly fee includes Lawn Maintenance Snow Removal & Trash MLS#21632480. Berkshire Hathaway Home. Finished basement w/rough-in plumbing for bathroom, large laundry room, & plenty of storage space. Playground Stays with home. MLS#21627891. F.C. Tucker Company. Truly a must see! Welcome home! MLS#21632227. F.C. Tucker Company. 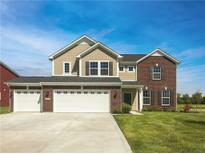 Brendonshire - Award winning HSE school system and easy access to 465. MLS#21631351. Highgarden Real Estate. Harvard Park - Large patio for outdoor entertaining overlooks the tree-lined backyard with invisible fence. Community playground and tennis! MLS#21631818. F.C. Tucker Company. Sunblest Farms - Make sure you take a look at the virtual tour and take a virtual walk through the home! MLS#21632336. Keller Williams Indy Metro NE. Gatewood - Back yard has a 6ft complete privacy fence with a newly painted deck that receives afternoon shade from a mature tree. MLS#21632540. 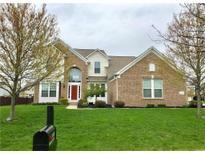 Liberty Real Estate, LLC..
Plantana - Listed & SOLD MLS#21632557. GO Real Estate Services, LLC. 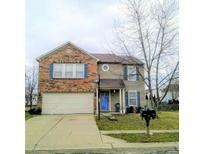 Easy Access To I 69 And 465 For Quick Commutes. MLS#21632269. 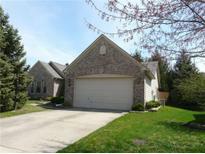 Keller Williams Indpls Metro N.
Cherry Hill Farms - Close to shopping, restaurants and hiking trails. All for less than 200,000. MLS#21628452. McLane Realty. 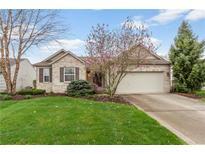 Cumberland Ridge - Great location, minutes from Nickel Plate District, Top Golf, Geist Reservoir, & highways. MLS#21631807. Carpenter, REALTORS®. The Bristols - Minutes to I-69, Hamilton Town Center, Top Golf, IKEA & more. Award winning HSE schools. MLS#21631572. Berkshire Hathaway Home.